I love Mozart especially his 27 piano concertos. For the last three years I have pretty much abandoned the car radio and instead have listened mostly to my MP3 music library, which I have cycled though many times. It is about 3.5 Gb (60 hours) of music, mostly classical and much of that Mozart, including all of Mozart's 27 piano concertos plus most (if not all) of his other concertos (flute, violin, horn, bassoon, clarinet, oboe, flute & harp). This is the Krafft portrait painted from three other portraits 28 years after Mozart died. This quote is famous and easy to find online, but unfortunately what you find online has a lot of the details wrong, especially the dramatic last line. Online you find variants like: 'the very voice of God', 'the voice of God', or 'a voice of God'. I edited the version above so it matches (exactly) Shaffer's text as spoken by F. Murray Abraham as Salieri. Mozart is the only composer I know who in piano concertos often at dramatic moments has the piano played one note at a time. Mozart's music is (probably) the music Washington, Adams, and Jefferson listened to, though I have found no references saying this. 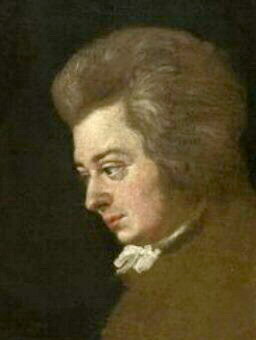 Mozart died in 1791 just two years after Washington began his presidency. Found a 2005 NPR 30 minute story on Mozart and colonial music. The show's colonial music experts implied that large skilled orchestras needed for much of Mozart's music probably didn't exist in colonial America, but resources for scaled down orchestras and chamber music did. There were small touring opera companies in US by 1750 and bands played for formal dances, like Washington's inaugural ball. No doubt Franklin in Paris 1776 to 1781 (Franklin born 1706 is age 70 to 75), during and after the revolutionary war, heard some Mozart, since Mozart was age 20 to 25 in those years and quite famous, and interestingly, Mozart was in Paris for six months in 1778. 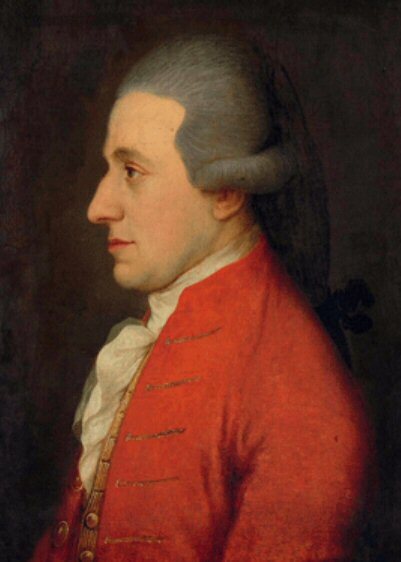 Doing a Google search I find that Franklin and Mozart were both in London for six months in 1765, but at that time Mozart was only age 9 and was touring as a child prodigy. Franklin clearly had an interest in music. According to Wikipedia "Franklin is known to have played the violin, the harp, and the guitar, and he also composed music, notably a string quartet in early classical style." After hearing music played on water glasses, Franklin invented an improved version, the rotating glass amonica in 1761, when Mozart was five. 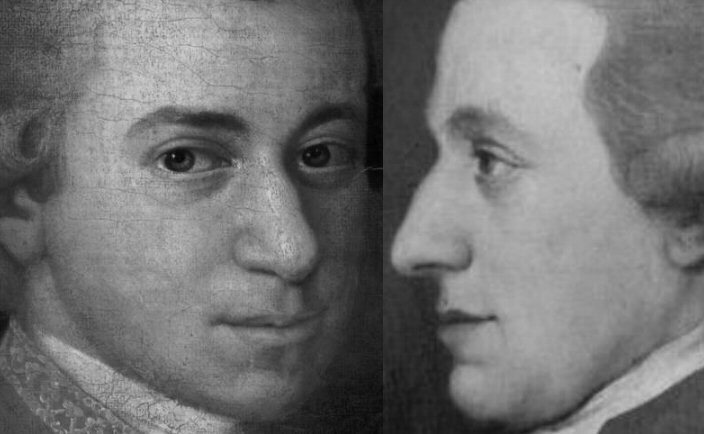 Did Franklin and Mozart ever meet? There's a good chance that they did (one Mozart site says they did). It would have been in Paris in 1778 when Mozart was 22 and Franklin 72. Both are celebrities in Paris, their visits overlap for six months, both are interested in music and composing, but there is more. Franklin has earlier invented a new music instrument, the rotating glass harmonica, and Mozart later writes music for Franklin's glass harmonica. It's very possible that Franklin may have shown & played his new instrument for Mozart in 1778 and made an impression. Thirteen years later (in 1791, the last year of Mozart's life) Mozart composes several pieces for Franklin's rotating glass harmonica (also called the glass armonica) including the Adagio for Glass Harmonica in C Major (K617a). The first four piano concertos (which I like) were written when Mozart was 11 years old! (Musicologists say these are reworked Bach pieces and that some of the writing is in his father's hand.) Mozart writes #5 at age 17 and the next three (#6, #7, #8) at age 20 (three piano #7 also exists in a two piano version written three years later), #9 and #10 at age 21 and 23 respectively. Next fifteen of the piano concertos (#11 to #25) are written in a four year period when Mozart is age 26 to 30, #26 is written at age 32, and the last #27 at age 35, the year Mozart's dies. 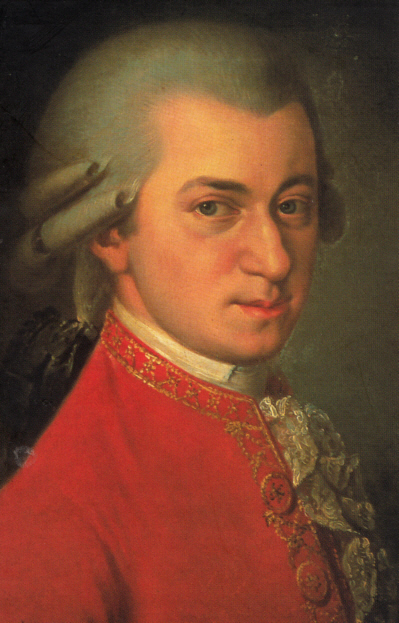 Mozart writes two operas at age 11, two more at age 12, one at 13, two more at 14 for a total of 12 operas by age 19! I know little of opera, but I never heard of any of these early operas. He goes on to write 11 more operas after age 20, including two in the last year of his life. The Mozart piano concertos are numbered 1 to 27. All 27 have three movements (one might have two) totaling 81 pieces, each typically about 10 minutes. Of the 27 piano concertos one is written for two pianos (#10), and one for three pianos (#7). (Incredibly in some boxed collections of Mozart's piano concerts recorded by a single pianist #7 and #10 are sometimes omitted, because they don't want to hire another pianist!) The piano concertos numbered in the 20's are longer and more grand than the earlier ones. 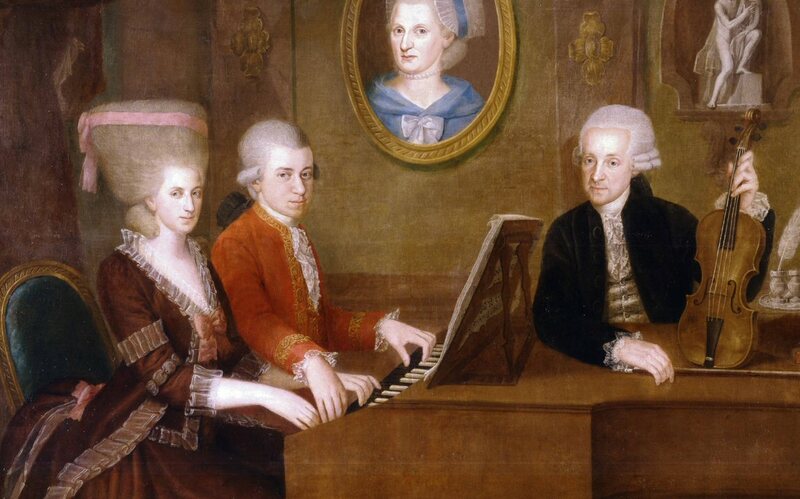 What listening to Mozart's music tells me is that people 225 years ago were just like us! What they liked in music, we like. This incredibly sophisticated music from 225 years ago also helps explain to me the feeling of superiority many European explorers felt. Mozart's and Bach's music is just the tip of the musical iceberg. European music cultural 'iceberg' includes the development of all the instruments of the symphony orchestra, each with it's own long history, plus the powerful, dramatic and visually impressive pipe organ widely used in churches. My very limited knowledge here is that all the instruments of the orchestra, and the skill to play them, were developed in Europe with one possible exception: the cymbal may have been imported from Muslim Turkey. It also includes the development of music theory, like equal temperament tuning, the development of vocal technique for singing opera, the development of classical dance, plus the classical architecture and engineering associated with the building of concert halls and theaters that provided venues for listening. I suspect when European explorers compared the music of Europe to what they found anywhere in the world, it confirmed to them that Europe was superior. And in music (at least) they were right! There are certainly long and complex musical traditions in other parts of the world, but they don't have anywhere near the depth of European music and instruments. I once saw a fantastically varied collection of bells from the South Sea islands in a German museum. A rich tradition to be sure, but mostly bells. Many countries, including India and China, developed native stringed instruments (variants of guitars and violins) and flutes, but what string instruments and flutes are played all over the world today? The European designs. I own a boxed set of all of Mozart's piano concertos (Vladimir Ashkenazy pianist, London) and an (economy) boxed set of Mozart's complete works (170 CDs ! ), which comes in one nice long red box. It now lists on Amazon for $176, but I got it on sale (from Amazon) for only a little over $100. I collected some Mozart and other music MP3 files in 2000 using Napster, before the court ruled that its peer to peer network sharing was contributing to copyrights violations. Napster was created by Shawn Fanning while he was at Northeastern and was wildly popular peer to peer sharing service around 2000. It was specifically for peer to peer sharing of MP3 music. While it took time to use and music quality was quite variable, it was fantastic for finding obscure things like virtually all of Tom Lehrer's songs recorded live in various clubs. Wikipedia says of Napster -- "The result was a robust system whose popularity generated an enormous selection of music to download - at its peak there were 80 million users and 25 million songs, but the system never once crashed". Concerning the court battle that eventually ruled that Napster had to take steps to limit copyright infringement, Wikipedia says, "Although the Ninth Circuit found that Napster was capable of commercially significant non-infringing uses, it affirmed the District Court's decision." Napster was unable (or unwilling) to operate within the court's guidelines, so, Wikipedia says, "it shut down its service in July 2001." My MP3 music files are stored on my computer and for use in the car are copied to a tiny Sansa Clip (& Clip+) music player, which I play through my car's audio system. My old car (2000 Taurus) had no aux input, but it had a tape player, so a tape adapter allowed me to feed in my Sansa player with excellent fidelity (but with a little inconvenience, since the tape adapter would pop out now and again). My new car (2009 Taurus) has an aux input plug in the center console allowing the Sansa player to be plugged in directly. 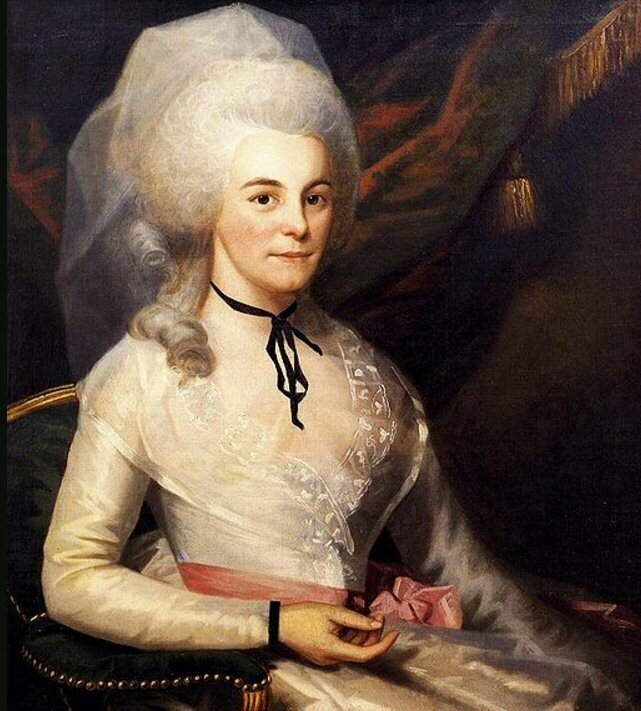 Check out the 'big hair wig' on Mozart's sister Anna and the Mozart family nose. Pretty popular device, more than 1,000 review! Basics: Sansa Clip+ sounds as good as Clip, same size, same battery, same screen, somewhat different buttons and different clip design. The biggest functional change is that Clip+ has a MicroSD slot for (low cost) memory expansion. The power push button, replacing the slide switch of the Clip, is an improvement because it does not need a fingernail to operate. I tested battery lifetime of my new Clip+ (loaded by car Aux jack) and measured 17 hours, better than spec. Package is nightmare to open, 20 minutes with pliers and a knife! If any product needs the Amazon easier to open packaging, it is this one. Better: Screen scrolls significantly faster (6 sec vs 13 sec). Music List scrolls much (x3) faster. These are both big improvements. Worse: Power up time (w/no expansion card) is much longer (12 sec vs 5 sec). This slow boot time is a new annoyance and is probably related to the expansion slot. Unchanged from Clip: Time to fill a 4 Gb clip is many hours (Auto Detect USB). Starts out fast (1 sec/file), but soon slows way way down (15 sec/file or more). For a 4 Gb fill you basically need to let it run all night. Why is file Copy to the Clip+ so slow and variable? I want my mp3 files to list alphabetical by filename, the same on Clip+ as on my computer. I found a trick online years ago that explained the way to get an alphabetical listing on the Sansa Clip is delete all filename tags (mp3 utilities can do this). This works on Clip+ as well as on Clip. The order of files in the Music List is clearly important, so why after years in production does the Sansa Manual still not say anything about this? Why do Amazon technical specs give only the size and weight (0.8 lbs!) of the Clip+ retail package? This is ridiculous, who cares what size the package is, give the size and weight of the product. This is a problem I see all too often in Amazon specs. Wake up Amazon.